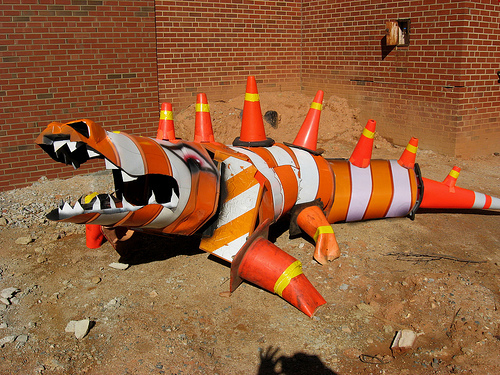 I want this(is it a traffic-cone-gator or traffic-cone-adile? I never remember which one is which)to put on the front porch. So people will stop trying to sell me kirby vaccums. Oh the pitfalls of suburbia.